Moongobble must complete one last Mighty Task before he is accepted into the Society of Magicians. But this one is a doozy: he must retrieve "The Queen's Belly Button"-an enchanted stone that has turned an entire elf village bad! Soon Edward and Moongobble-along with Urk the Toad, Fireball the Dragon, and the Rusty Knight-are off on their greatest adventure yet. Can they regain the stone without turning evil themselves? 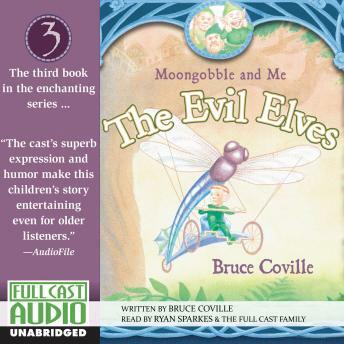 This fun-filled tale of magic and adventure will have the entire family laughing out loud!